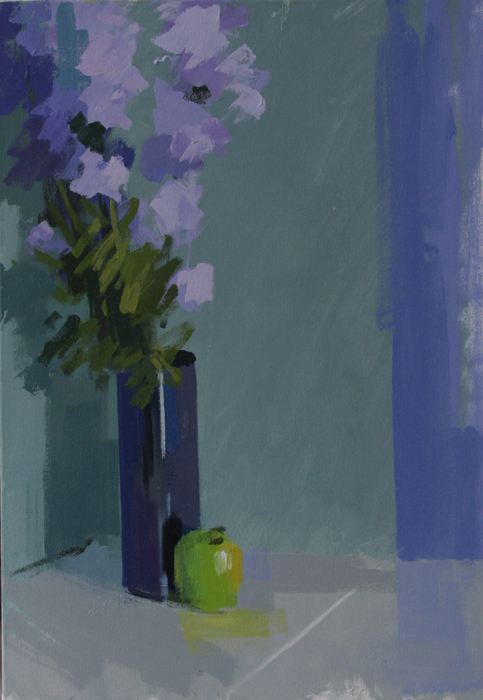 An exhibition of still life showing work by Jon Doran, Benjamin Hope NEAC, Philip Richardson, Sarah Spackman and Kate Verrion. Observations is a focus on still life subjects, floral arrangements, studies of inanimate, everyday objects such as cups and bowls, a table of painting mediums, fruits and vegetables. All subjects that for thousands of years have been of interest to and provided a wealth of opportunity to explore the language of painting; differences in tone, the relationship between colour and shape and the exploration of texture and its portrayal through the chosen medium. The ambitions of each artist to explore such a well known subject area with either a fresh approach or to highlight just how timeless this area of art is. The traditional elements of drawing and technique are on show for all to see with each artist having taken a slightly different route, developing their own styles and creating work that sits beautifully within a contemporary context. It is observation that links each of the artists despite their varied styles.